Though Apple doesn't break down sales of individual iPhone models, Chief Executive Tim Cook admitted on Monday that sales of the iPhone 5c represented a smaller mix of total handset sales than his company anticipated. Demand percentage for the iPhone 5c "turned out to be different than we thought," Cook said during his company's quarterly earnings conference call. Total iPhone sales for the quarter were 51 million, which was a new record but below market expectations of around 55 million. Cook declined to say what Apple is planning to do in the future with its mid-range, plastic-backed iPhone. However, the CEO did not rule out the possibility of making a change to its lineup down the road. When asked why the iPhone 5c represented a smaller mix of total handset sales than Apple expected, Cook said he believes customers were simply drawn to the flagship iPhone 5s. "I think the 5s, people are really intrigued with Touch ID," Cook said. "It's a major feature that has excited people. And I think that associated with the other things that are unique to the 5s, got the 5s to have a significant amount more attention and a higher mix of sales." "People are really intrigued with Touch ID" - Apple CEO Tim Cook on why the iPhone 5s has proven more popular than the 5c. The comments come after The Wall Street Journal reported last week that Apple apparently plans to scrap the iPhone 5c this year. That report suggested that Apple will no longer make an iPhone with a plastic back when it next refreshes its smartphone lineup. Earlier reports cited factors such as "weak sales" and "less-than-stellar sales" as prompting Apple to reduce orders for the iPhone 5c. The company does not break down sales figures for its handset business on a model-by-model basis. This year marks the first time Apple has opted to introduce two new iPhone models. 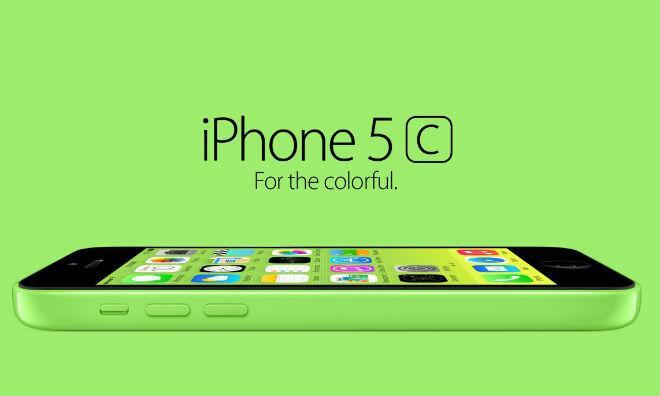 The iPhone 5c has generally the same parts as last year's iPhone 5, but comes in a new plastic casing available in an array of colors. It's differentiated from the company's new flagship aluminum iPhone 5s, which exclusively sports the Touch ID fingerprint sensor for secure access. Some market watchers have predicted that Apple's iPhone 5c will find greater success in the long-term, as early adopters are more likely to opt for the high-end device featuring Touch ID and the 64-bit A7 processor.